Here's a fun dot to dot featuring the morning sun that will give your child counting practice. 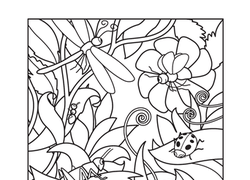 Kids who love creepy, crawly things will truly enjoy this prekindergarten and kindergarten science-themed coloring page. Use this worksheet to make a hammerhead shark headband to wear! 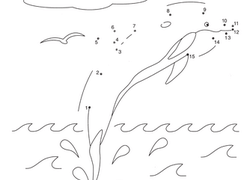 Celebrate dolphins, one of the most intelligent animals in the world, with a fun dot to dot coloring page. Kids practice counting from 1 to 10 on this cute dot to dot page, plus learn a neat fact about how mushrooms reproduce. This Blue Manakin coloring page features the tropical bird with his bright blue chest and head of red feathers! Make a cuttlefish headband with your child while learning about the animal! Get excited about mammals with this elk headband worksheet! Learn about bats and make an animal headband with this awesome worksheet! Bounce your way to knowing more about jackrabbits with this headband worksheet!